Editor Andrew Weisblum, A.C.E. talks about scene rearrangement, as seen in "The Wrestler." From the Series: "Manhattan Edit Workshop Presents Inside the Cutting Room with Bobbie O’Steen" featuring editor Andrew Weisblum, A.C.E. on February 21st, 2013. Edited by Daniel Jamieson. Editor Andrew Weisblum, A.C.E. discusses the important role of shot planning, as seen in "Moonrise Kingdom." From the Series: "Manhattan Edit Workshop Presents Inside the Cutting Room with Bobbie O’Steen" featuring editor Andrew Wesiblum, A.C.E. on February 21st, 2013. Edited by Daniel Jamieson. Editor Andrew Weisblum, A.C.E. discusses the process of editing stop-motion animation, as seen in "Fastastic Mr. Fox." From the Series: "Manhattan Edit Workshop Presents Inside the Cutting Room with Bobbie O’Steen" featuring editor Andrew Wesiblum, A.C.E. on February 21st, 2013. Edited by Daniel Jamieson. Editor Andrew Weisblum, A.C.E. discusses the process of restructuring a scene, as seen in "The Darjeeling Limited." From the Series: "Manhattan Edit Workshop Presents Inside the Cutting Room with Bobbie O’Steen" featuring editor Andrew Wesiblum, A.C.E. on February 21st, 2013. Edited by Daniel Jamieson. Editor Andrew Weisblum, A.C.E. discusses the advantages of going against the script, as seen in "Black Swan." From the Series: "Manhattan Edit Workshop Presents Inside the Cutting Room with Bobbie O’Steen" featuring editor Andrew Wesiblum, A.C.E. on February 21st, 2013. Edited by Daniel Jamieson. Editor Andrew Weisblum, A.C.E. discusses the challenge of having too much to work with, as seen in "Black Swan." 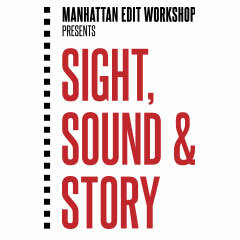 From the Series: "Manhattan Edit Workshop Presents Inside the Cutting Room with Bobbie O’Steen" featuring editor Andrew Wesiblum, A.C.E. on February 21st, 2013. 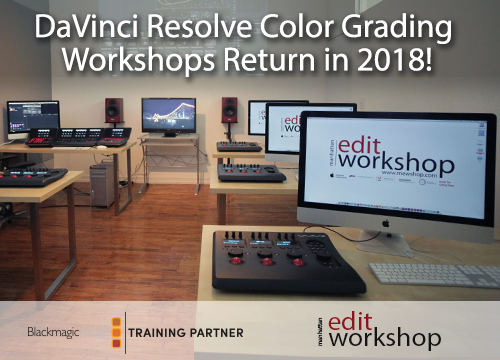 Edited by Daniel Jamieson..
DaVinci Resolve 10 Workshop Promo Video - New Classes Start August 30th! What's New In DaVinci Resolve 10.0? a completely redesigned user interface that's designed to be extremely fast to use and to eliminate unnecessary clicks and settings. A job can be up and running in three clicks: one to log in, one to drop media into the project and the next to grade. DaVinci Resolve 10.0 includes plenty of incredible features like a new streamlined project import, export and selection workflow. Next Classes start August 30th! Click here for details!